Canes Deer Velvet contains the right nutrients and growth factors to develop a new blood supply. 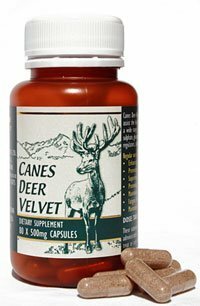 If you have poor blood circulation you’ll be interested to know that Canes Deer Velvet contains the right nutrients and growth factors to develop a new blood supply. How Does Deer Velvet Help Circulation? It is astounding how well the body can heal when it is supplied with the right raw materials. Deer Velvet has a long history of use in Traditional Chinese Medicine as a tonic for anaemia, high blood pressure and blood circulation. In fact many of the benefits of Deer Velvet can be attributed to its ability to improve poor blood circulation. Improved circulation results in efficient delivery of nutrients around the body, and effective removal of waste products. Deer Velvet is understood by researchers to stimulate peripheral circulation. Recent research has confirmed that there are factors in deer velvet that appear to promote blood vessel growth. Extracts of Deer Velvet antler were shown to cause human blood vessel cells to proliferate and migrate. These properties make Canes Deer Velvet a great supplement for anyone with poor circulation and it’s ideal for supporting the body in wound healing. These building blocks of protein are involved in growth and repair of tissue. Amino acids are vital to healing. Canes Deer Velvet is 47% protein! With Healthy Circulation Everything Simply Functions Better! More comments from happy customers.